A wooden honour roll commemorates those who served in World War One. It lists 68 names. 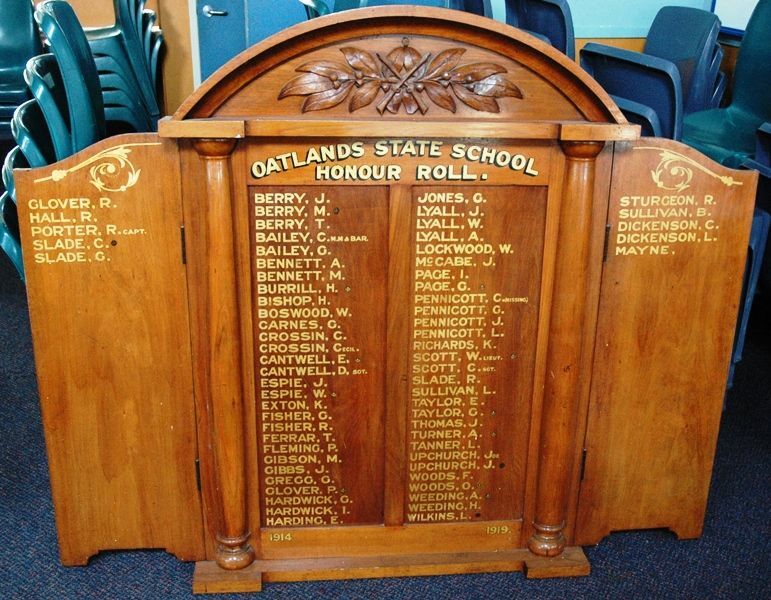 Oatlands State School Honour Roll.